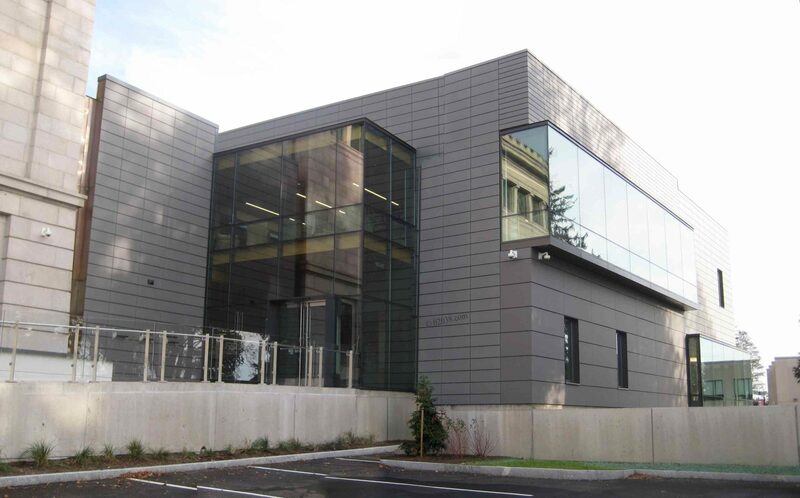 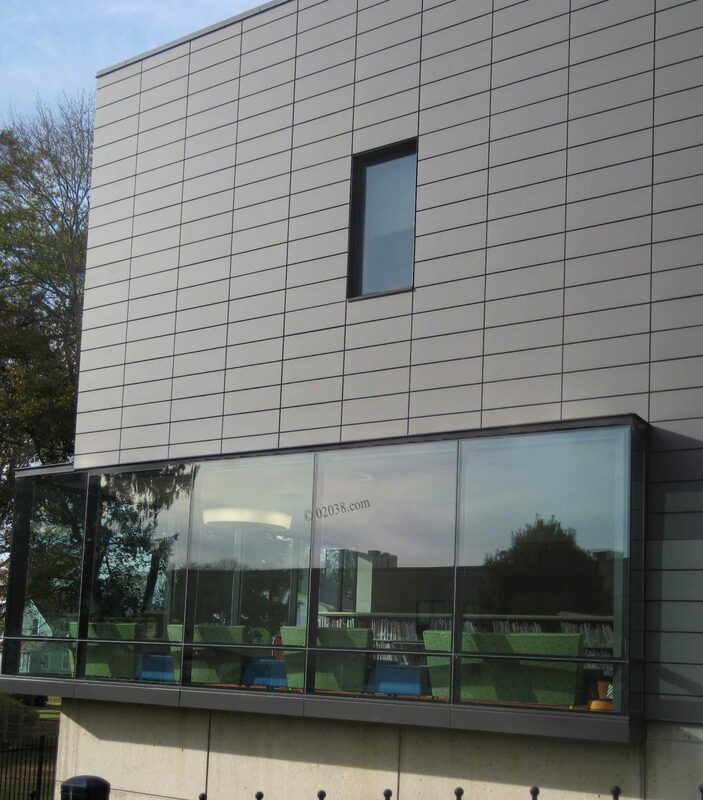 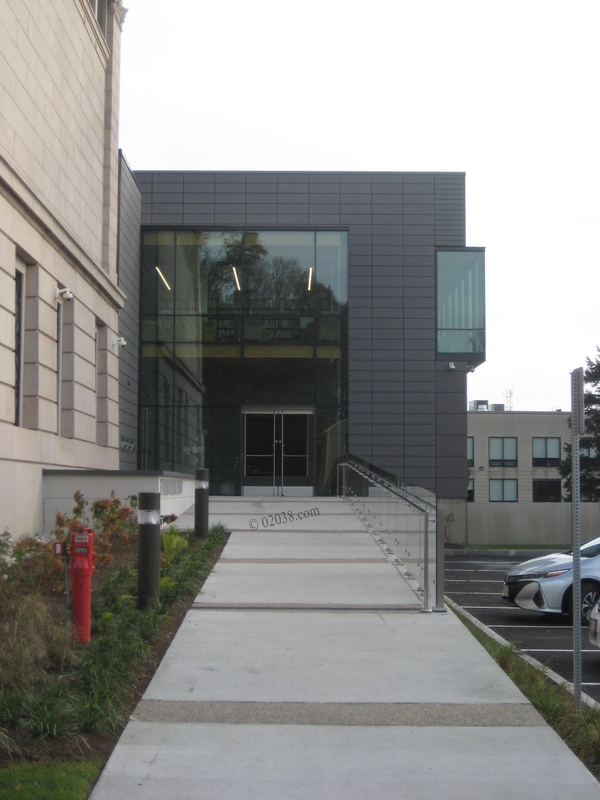 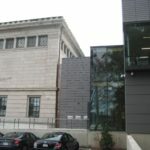 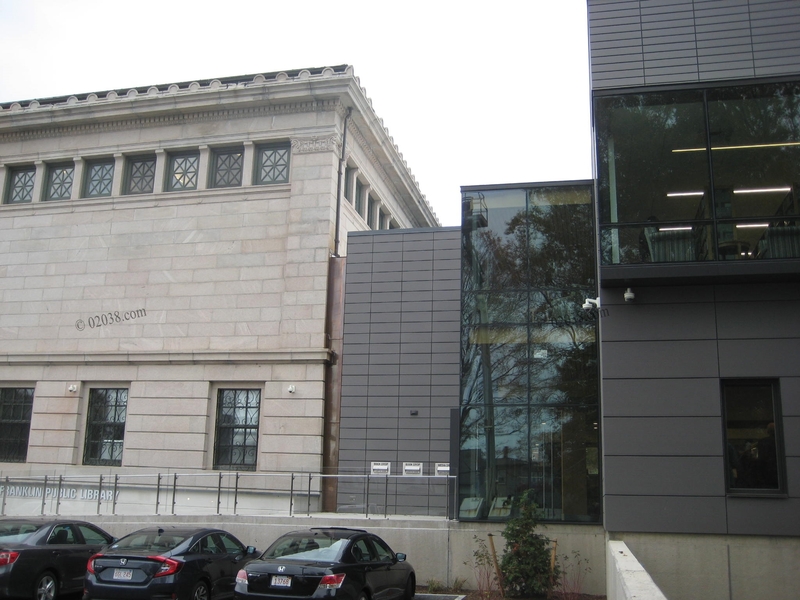 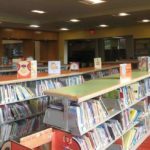 The $10.5M renovation and expansion project at the Franklin Public Library in Franklin, MA has the library looking great, inside and out! 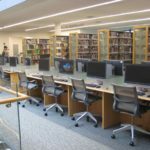 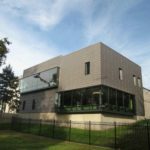 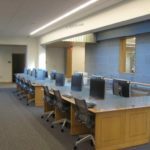 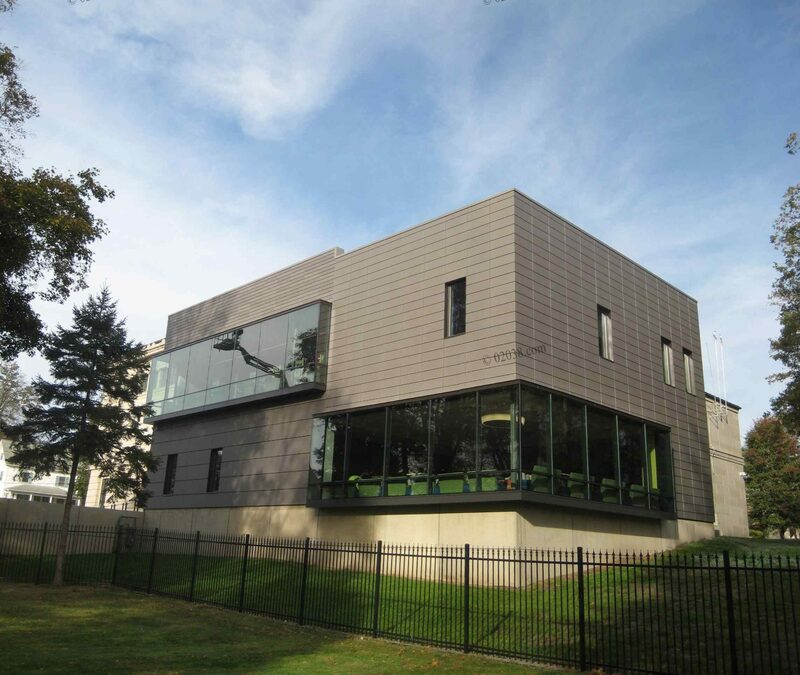 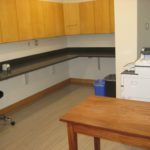 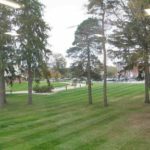 The construction project added 6,000 sq ft of new space to the library in the form of a two story addition and incorporates an extensive remodeling of the existing library annex built in the 1980s. 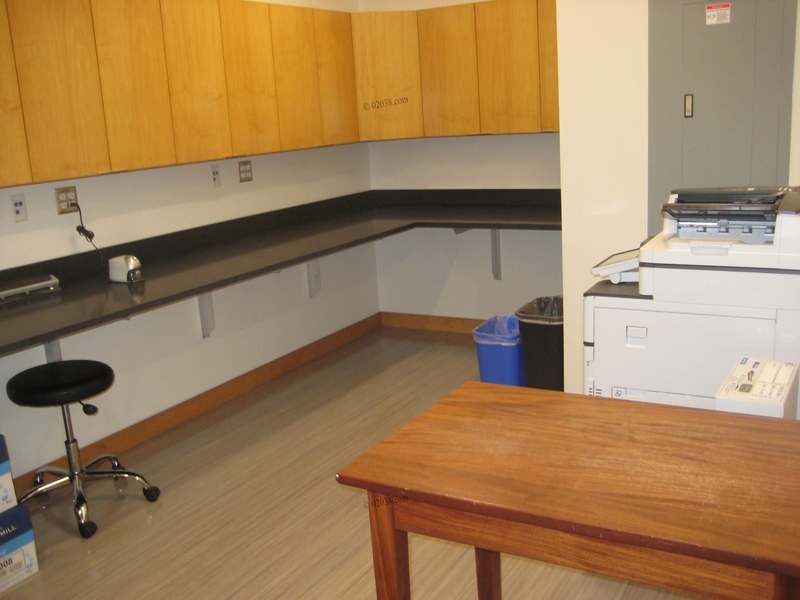 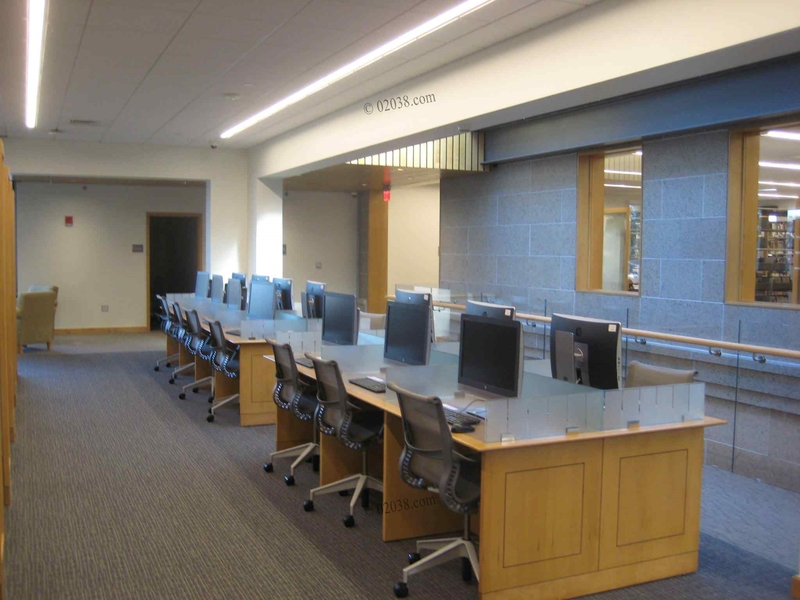 The work also included the installation of new electrical and mechanical systems in the library, among other updates. 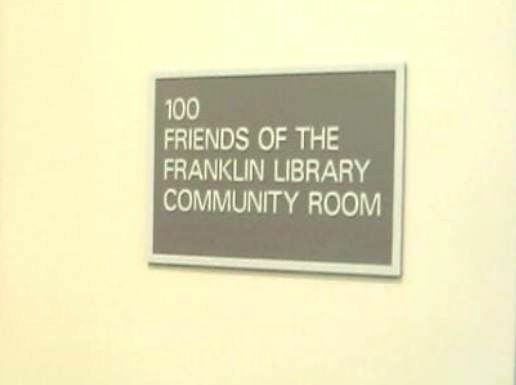 The Franklin Public Library moved to a temporary location in April 2016 so all the work could get underway. 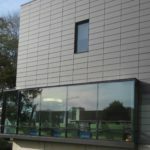 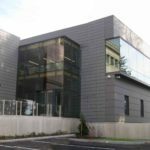 The construction work began later that spring and continued on through the end of the year and for most of 2017. 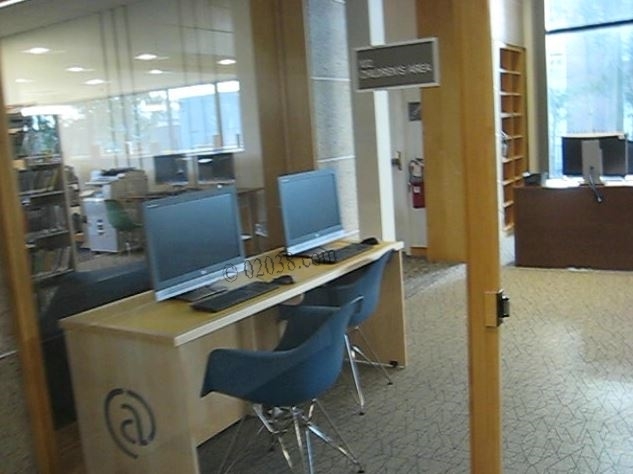 The library reopened at the Main St location in Franklin, Massachusetts in November 2017. 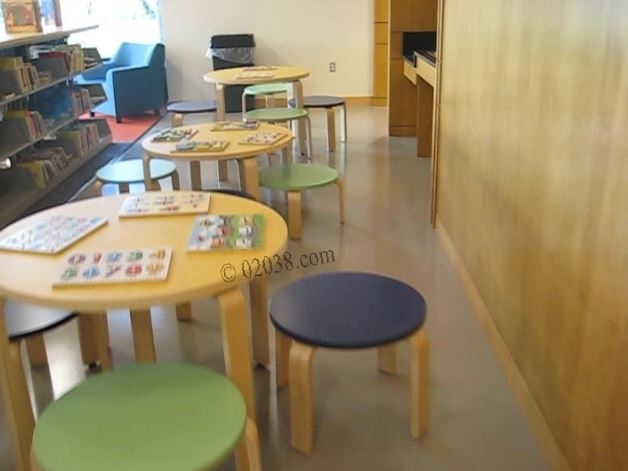 The Children’s Room enjoys twice the space of its predecessor. 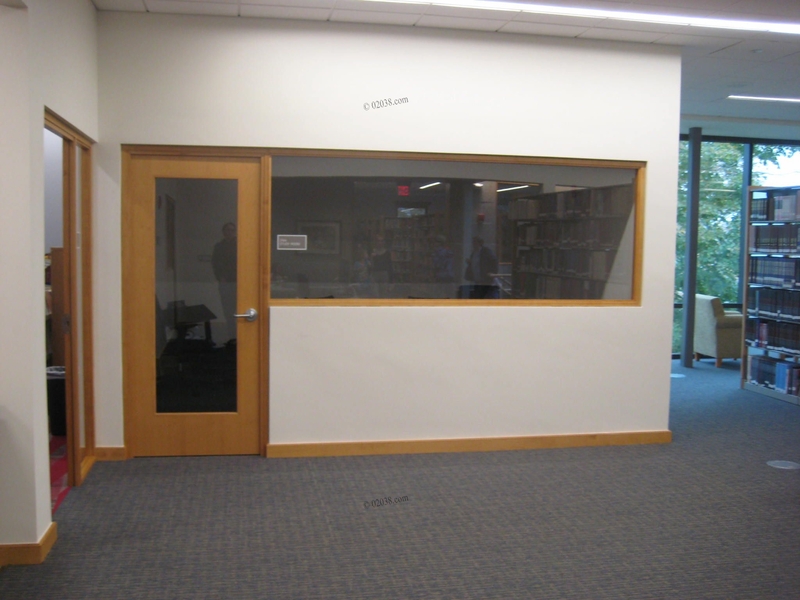 The Children’s Room has plenty of space for play and exploration and is cheerfully filled with abundant natural light, thanks to the extensive south and west exposure afforded by two roughly 30 ft long walls of windows. 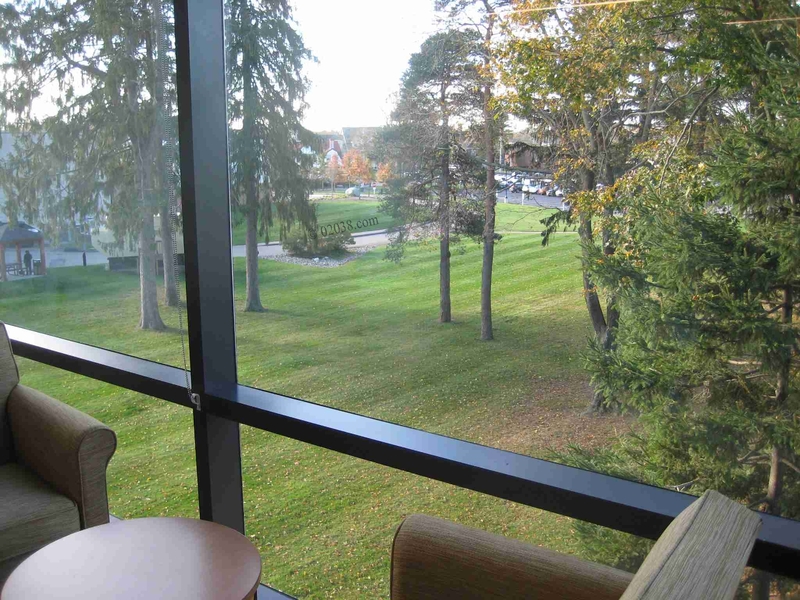 These windows look out on the beautiful grounds of the Dean College campus. 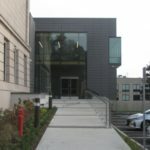 The addition’s second floor houses the new Computer Lab, which sports 14 computer terminals for public use. 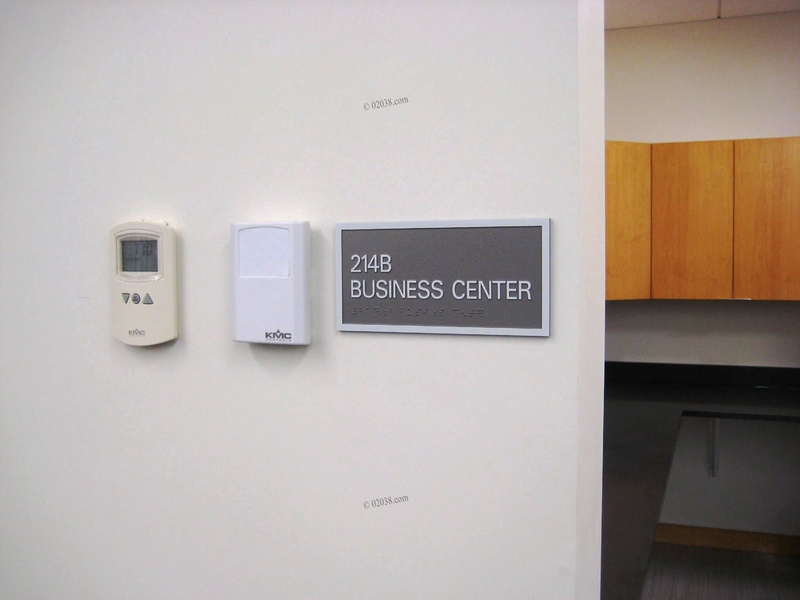 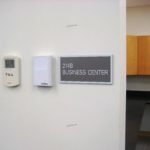 A Business Center is close by to the Computer Lab, allowing patrons to print online materials as well as scan, fax and make copies of print items. 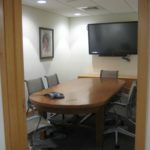 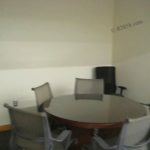 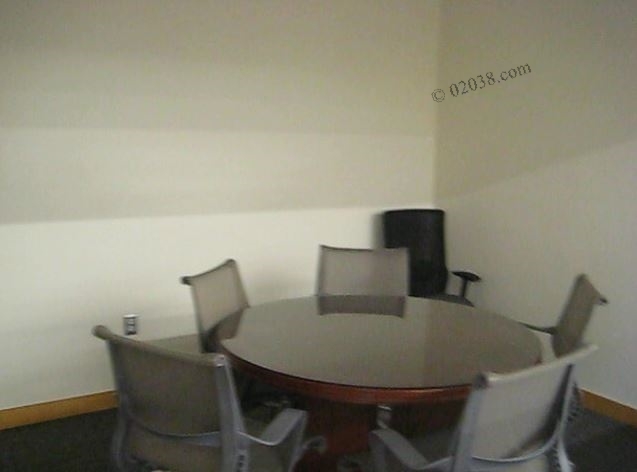 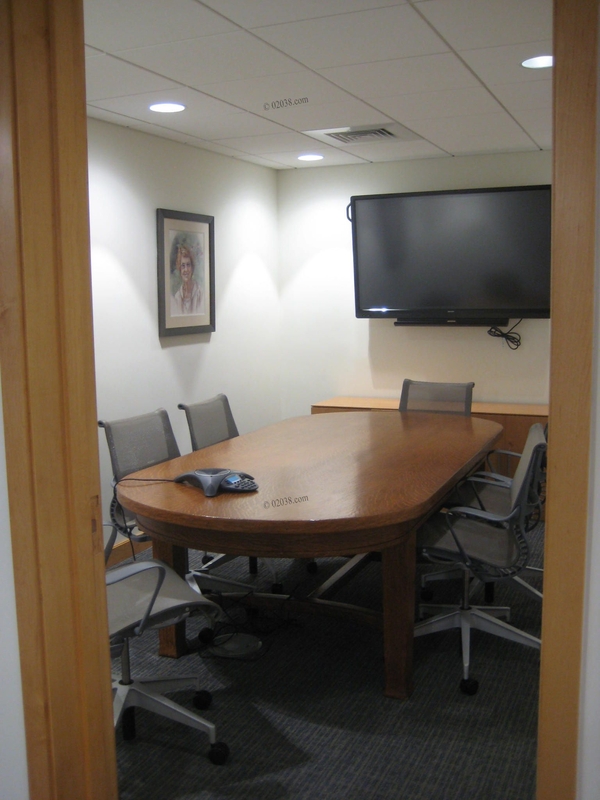 On the same floor as the Business Center is a Study Room and a Conference Room that can be reserved for use by patrons of the library. 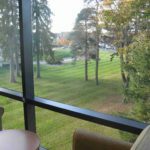 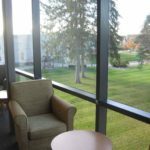 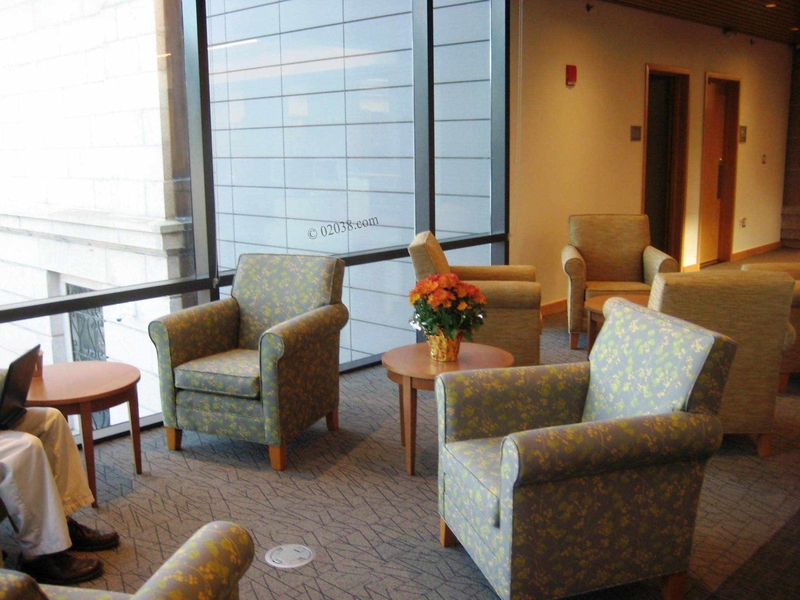 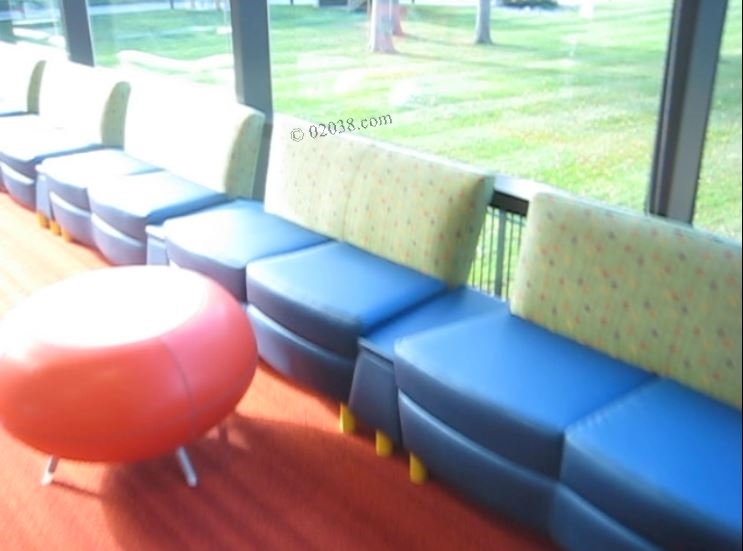 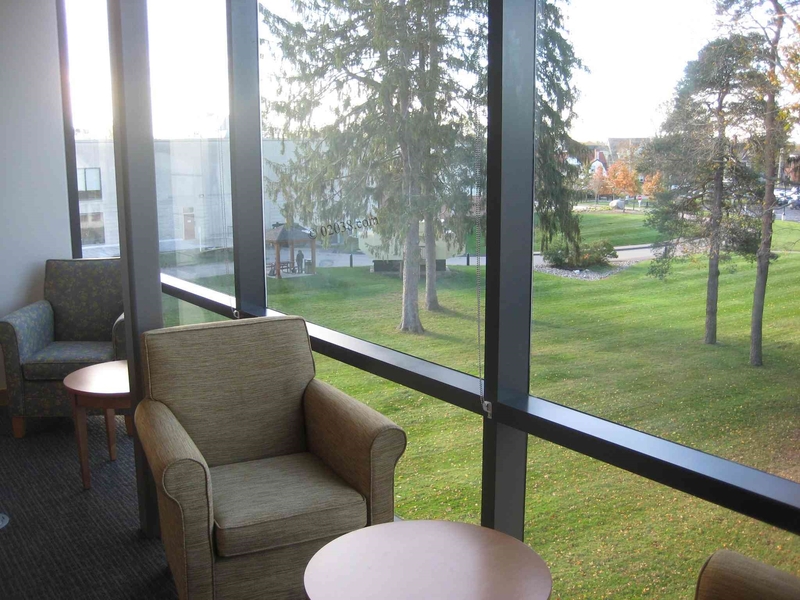 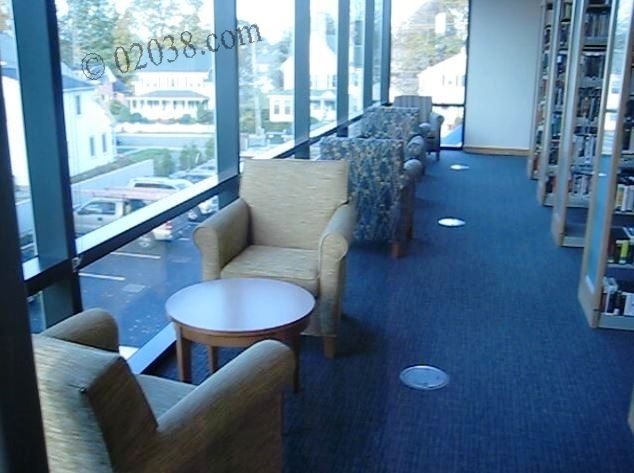 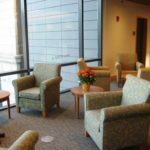 The addition offers very nice areas in which to sit, read and enjoy the views of the Dean College campus. 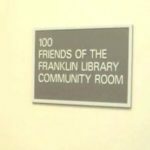 The Friends of the Franklin Public Library Community Room is an especially valuable addition to the library. 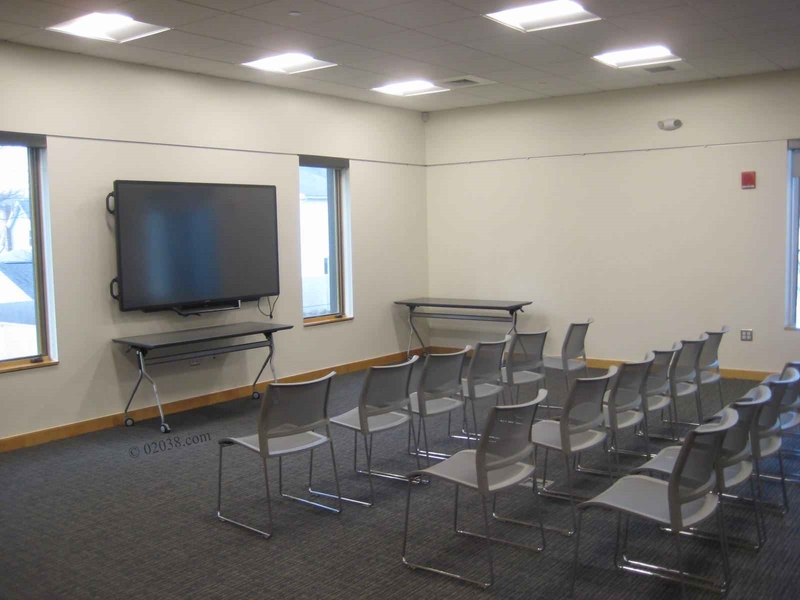 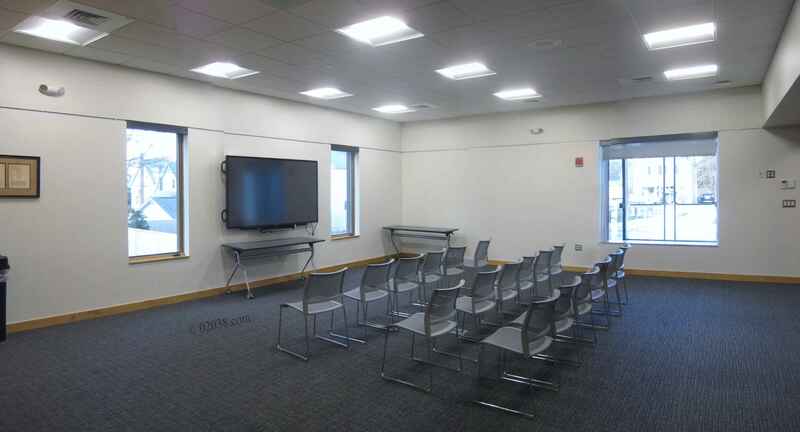 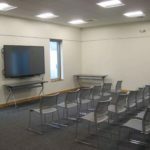 The room was designed to serve up to 60 people and can be rented by town residents for meetings and presentations. 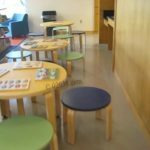 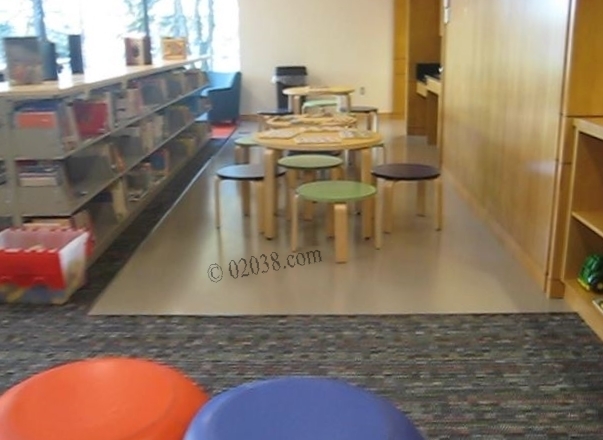 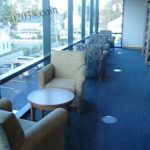 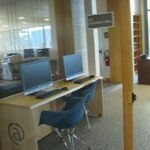 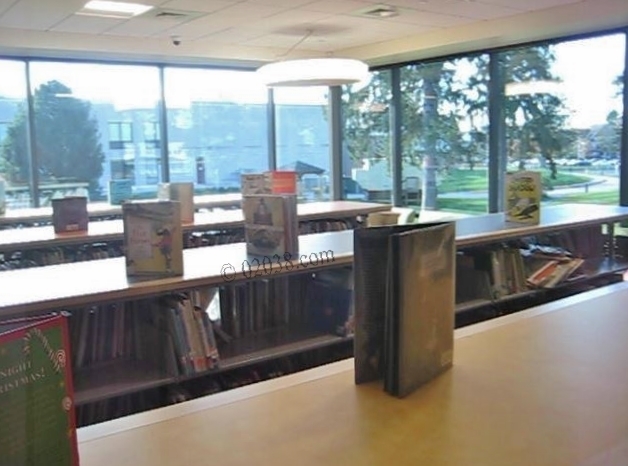 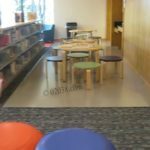 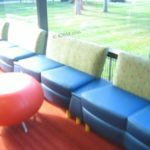 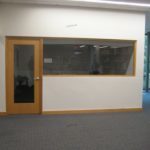 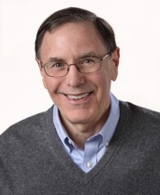 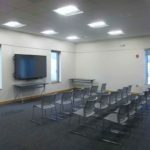 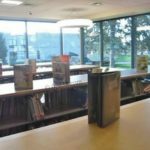 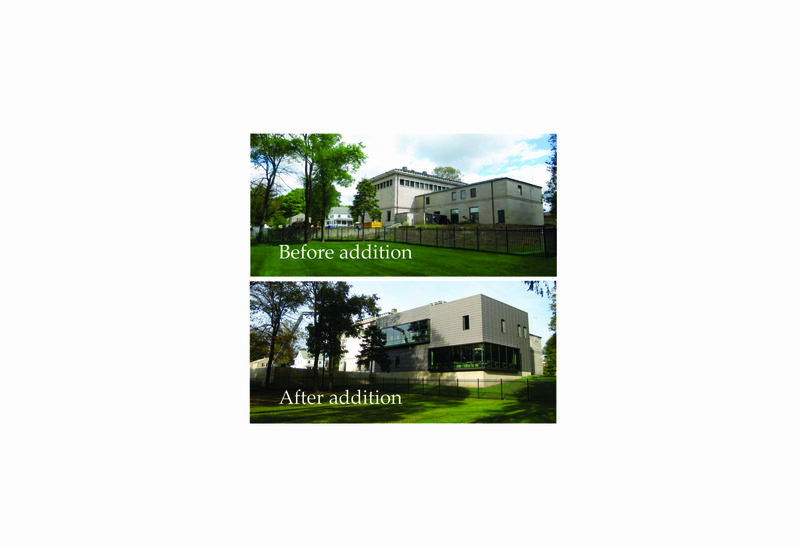 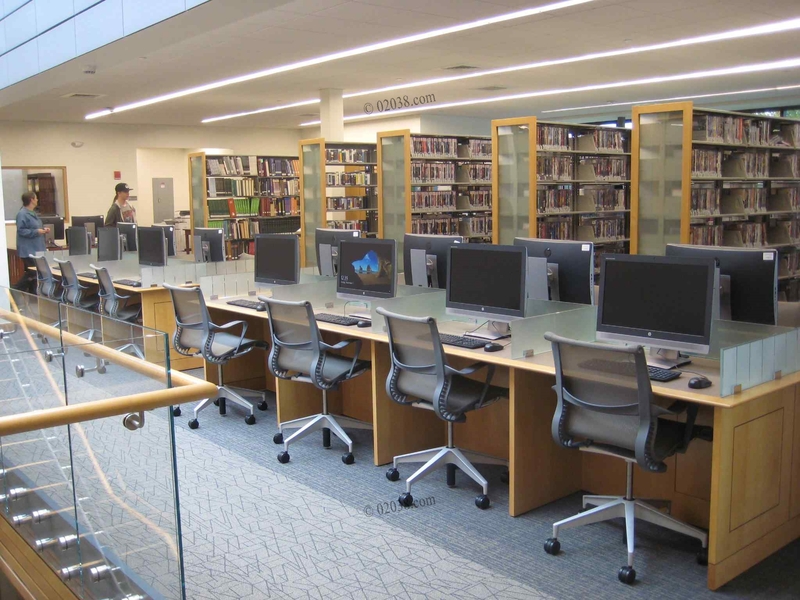 Come to the Franklin Public Library to see the renovations and new addition – there are additional areas to explore there beyond what is shown in this post. 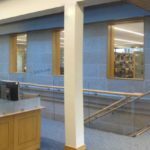 Don’t neglect to check out the gorgeous murals and fine woodwork and scagliola in the original portion of the Franklin library building – they’re very worth viewing!